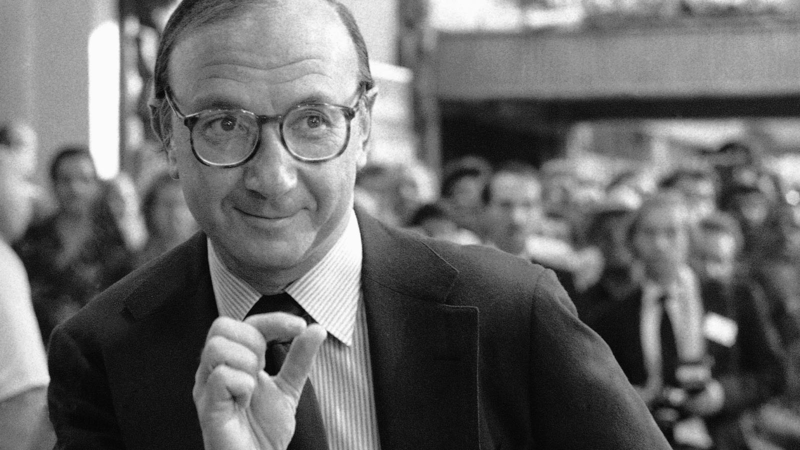 Playwright and screenwriter Neil Simon, who turned an unprecedented string of Broadway hits that began with Barefoot in the Park (1963) and The Odd Couple (1965) into some of American cinema’s most popular comedies of the 1960s and ’70s, has passed away at the age of ninety-one. As Charles Isherwood notes in the New York Times, Simon, who had four plays running simultaneously on the Great White Way in 1966, “ruled Broadway when Broadway was still worth ruling.” He racked up ten Tony nominations for his plays, four Oscar nominations for his screenplays, and saw the The Odd Couple become a long-running television sitcom in the early ’70s. Like Mel Brooks and Woody Allen, Simon honed his comedic skills writing sketches in the early 1950s for television pioneer Sid Caesar. Norman Lear turned Simon’s first play, Come Blow Your Horn (1961), into a 1963 vehicle for Frank Sinatra, but once he began writing his own film adaptations, “the Simon assembly line quickly accelerated,” as Frank Rich puts it for Vulture. If there was a formula for Simon’s particular brand of hit-making, it was hardly a secret: Squeeze a few people, preferably just two—such as The Odd Couple’s Felix, the uptight neatnik, and Oscar, the lovable slob—into a confined space and send the sparks flying. Two crucial early collaborators were Mike Nichols, who debuted as a director on Broadway with Barefoot in the Park and won a Tony for directing The Odd Couple, and director Gene Saks, who steered the film adaptations of this one-two punch to box-office success. Almost as if in response to such accusations of political and social irrelevance, Simon wrote a trilogy of plays in the 1980s based on his memories of growing up during the Great Depression in a household all but torn apart by his parents’ ferocious arguments over their financial straits: Brighton Beach Memoirs (1983), Biloxi Blues (1985), and Broadway Bound (1986). As Isherwood notes, “these comedy-dramas were admired for the way they explored the tangle of love, anger and desperation that bound together—and drove apart—a Jewish working-class family, as viewed from the perspective of the youngest son, a restless wisecracker with an eye on showbiz fame.” Naturally, Simon the screenwriter would adapt all three, with Saks directing the first in 1986, Nichols the second in 1988—his only film based on a Simon screenplay—and Paul Bogart directing the third for television in 1992 with Anne Bancroft and Hume Cronyn.